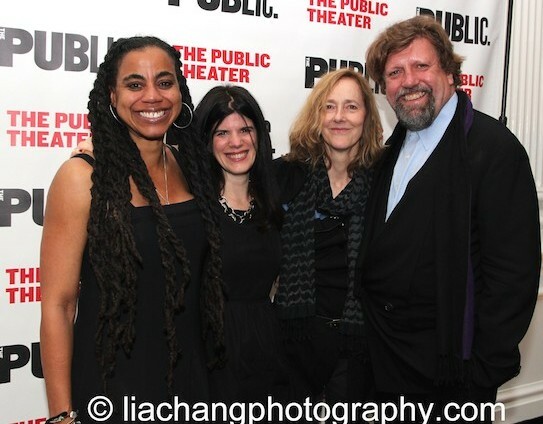 The Public Theater is extending New York Times Critics’ Pick FATHER COMES HOME FROM THE WARS (PARTS 1, 2 & 3), a world premiere play written by Public Theater Master Writer Chair Suzan-Lori Parks through December 7th. Directed by Jo Bonney, FATHER COMES HOME FROM THE WARS (PARTS 1, 2 & 3) , began previews on Tuesday, October 14 in the Anspacher Theater and was originally scheduled to close on Sunday, November 16, was extended through November 30th and will now close on December 7th. Check out the review roundup at Broadwayworld.com. Member tickets, priced at $45, and single tickets, starting at $65, are available now by calling (212) 967-7555, www.publictheater.org, or in person at the Taub Box Office at The Public Theater at 425 Lafayette Street. The Library at The Public is open nightly for food and drinks, beginning at 5:30 p.m., and Joe’s Pub at The Public continues to offer some of the best music in the city. 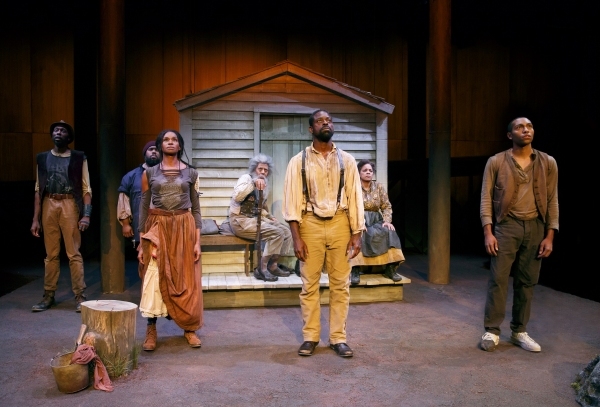 Pulitzer Prize winner Suzan-Lori Parks (Topdog/Underdog, The Book of Grace) continues her longstanding relationship with The Public Theater with FATHER COMES HOME FROM THE WARS (PARTS 1, 2 & 3), a devastatingly beautiful, dramatic work set over the course of the Civil War. Jo Bonney directs this moving and haunting drama comprised of three plays presented in a single performance. In Part 1, “A Measure of A Man,” Hero, a slave who is accustomed to his master’s lies, must now decide whether to join him on the Confederate battlefield in exchange for a promise of freedom. Part 2, “A Battle in the Wilderness” follows Hero and the Colonel as they lead a captured Union solider toward the Confederate lines as the cannons approach. Finally, in Part 3, “The Union of My Confederate Parts,” the loved ones Hero left behind question whether to escape or wait for his return – only to discover that for Hero, freedom may have come at a great spiritual cost. A masterful new work from one of our most lyrical and powerful writers which was a part of the 2013-14 Public Lab season, FATHER COMES HOME FROM THE WARS is a deeply personal epic about love and hope in a world of impossible choices. Presented in association with American Repertory Theater. 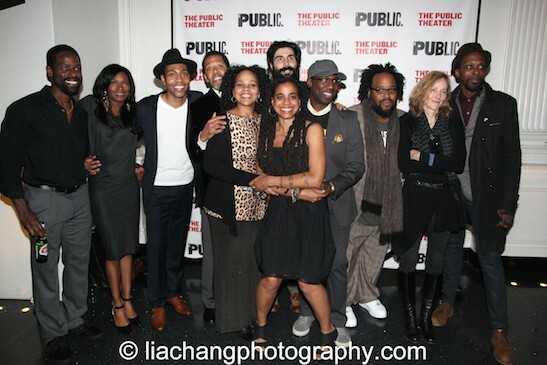 The complete cast for FATHER COMES HOME FROM THE WARS (PARTS 1, 2 & 3) features Sterling K. Brown (Hero); Louis Cancelmi (Smith); Peter Jay Fernandez (Oldest Old Man); Jeremie Harris (Homer); Russell G. Jones (Leader, Runaway); Jenny Jules (Penny); Ken Marks (Colonel);Jacob Ming-Trent (Fourth, Odyssey Dog); Tonye Patano (Third, Runaway); and Julian Rozzell Jr. (Second, Runaway). FATHER COMES HOME FROM THE WARS (PARTS 1, 2 & 3) features scenic design by Neil Patel, costume design by ESOSA, lighting design by Lap Chi Chu, and sound design and music supervision by Dan Moses Schreier. JO BONNEY (Director) previously directed the Public Lab production of Father Comes Home From the Wars (Parts 1, 2 & 3), as well as Danny Hoch’s Some People, Diana Son’s Stop Kiss, Anna Deveare Smith’s House Arrest, Jose Rivera’s References to Salvador Dalí Make Me Hot, and Naomi Wallace’s Fever Chart at The Public. She has directed premieres of plays by Alan Ball, Eric Bogosian, Culture Clash, Eve Ensler, Jessica Goldberg, Neil LaBute, Warren Leight, Lynn Nottage, Dael Orlandersmith, Darci Picoult, Will Power, David Rabe, Universes, and Michael Weller. 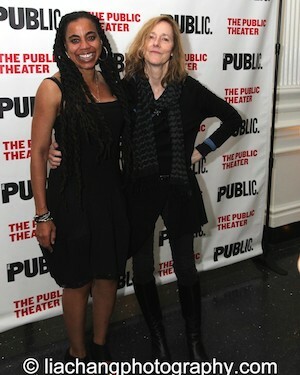 She has also directed productions of plays by Caryl Churchhill, Nilo Cruz, Charles Fuller, Lisa Loomer, John Osborne, John Pollono, and Lanford Wilson. 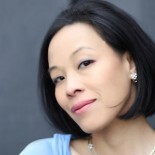 She is the recipient of the 1998 Obie Award for Sustained Excellence of Direction; and is the editor of Extreme Exposure: An Anthology of Solo Performance Texts from the Twentieth Century. Click here for other articles on Peter Jay Fernandez. This entry was posted on November 17, 2014 by Lia Chang in African American Artists, Entertainment, New York, Theater and tagged Backstage Pass with Lia Chang, FATHER COMES HOME FROM THE WARS (PARTS 1, Jacob Ming-Trent, Jenny Jules, Jeremie Harris, Jo Bonney, Julian Rozzell Jr., Ken Marks, Lia Chang, Louis Cancelmi, Peter Jay Fernandez, Public Lab, Russell G. Jones, Sterling K. Brown, Suzan Lori Parks, The Public Theater, Tonye Patano.